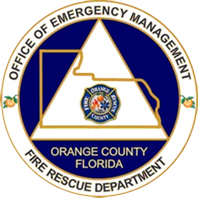 Mandatory Curfew in Effect – 10.07.2016, 11:00 a.m.
ORLANDO, Fla. – Last evening, Mayor Jacobs announced a mandatory curfew to be put into effect for Orange County in an effort to protect the life and safety of all citizens. The curfew is still in effect, but is being assessed and an update is expected this afternoon. All pedestrian and vehicular movement, standing and parking, except for individuals commuting to and from places of employment, the provision of fire, police, emergency and hospital services, medical patients, utility emergency repairs and emergency calls by physicians within the above curfew areas, are prohibited during curfew hours.